G-Form Elbow Pads, utilizing RPT - Reactive Protection Technology, a composite blend of PORON XRD material and proprietary G-Form materials and technology, offers consistent, repeated impact absorption for dependable performance throughout the life of the product. They are the first flexible, molded, exoskeleton rate-dependent impact pad worn on the outside of the garment. 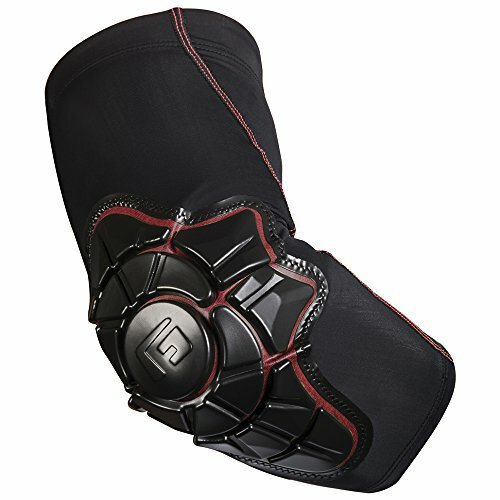 The ridges and hinges of the pad are specifically designed to flex with the knee and leg to ensure complete protection. Additionally, the unique way the pad is shaped and molded, plus its attachment to the compression fabric, keeps the pad close to the surface of the body and this enhances the protection, especially compared to hard shell pads that can move out of place. Lastly, these pads are machine-washable making them easy to care for.